4k00:18Taj Mahal dome and minarets on the background of blue sky; UNESCO World heritage site in Agra, India. 4k00:06Facade of the Taj Mahal in Agra, India. hd00:26Predatory birds (Kites) fly around the Taj Mahal in Agra, India. 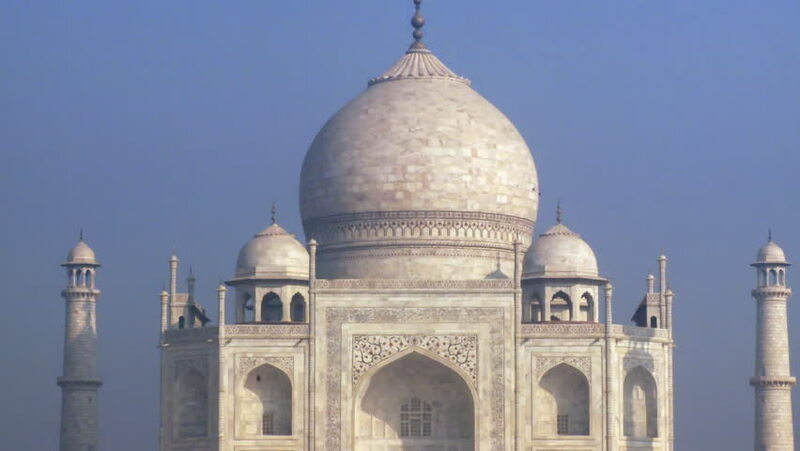 Completed 1653 by Mughal emperor Shah Jahan, this marble mausoleum commemorates his third wife, Mumtaz Mahal. Houses his & her remains. 4k00:15AGRA, INDIA - MARCH, 2017: tourists in Taj Mahal, UNESCO World Heritage site, Agra, Uttar Pradesh, India, on March, 2017.